§1. The winner is the one who, by 18.00 CET on July 31 2011, have the most views on YouTube. Second and third places are also given prizes and are ranked in the same way. One person cannot be given more than one prize. §2. To be entered into the contest, the video has to be uploaded to YouTube and the link submitted with name and e-mail in this form. The video-title is free to your imagination. §3. One of the three songs below (Höstmörkrets Natt, Bergtagen, Uppåkra) must be used and played in full, no alterations are to be made to the audio. §4. 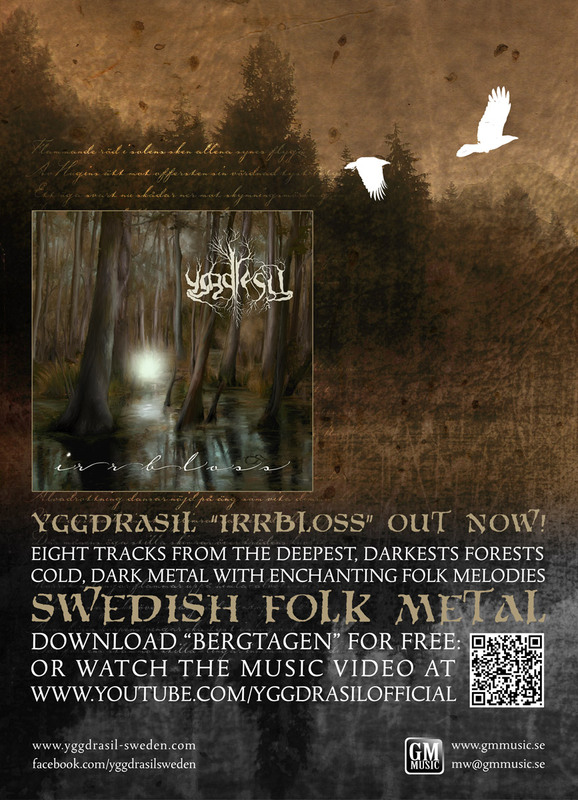 The YGGDRASIL-logo and URL (http://www.yggdrasil-sweden.com) must be visible for at least 3 seconds somewhere in the video (but does not have to be visible while the music is playing). §5. You must not use images and videos for which you don´t have the rights. If you are using other people´s pictures/videos (except the ones below), make sure to get their permission first. §6. Videos containing racist or otherwise discriminating material and/or statements will be reported and will not be eligible for entry into the contest. Material: Three songs, high-res band pictures and logo found here, as many pictures and videos as you want as long as you are permitted to use them. Think about the kind of videos you like to watch and spread to your friends. Is it a great viking battle? Is it just the music with a picture of the cover? Chances are that what you like, other people like too and will keep spreading it, thus increasing your number of views. You can enter as many videos as you want but only win with one so put your effort into making one, really great video. Spread it like crazy, make sure everyone you know, and don´t know, see it. The YGGDRASIL-crew will view every video at least once.